Makeovers by Gurleen, Mumbai provides artistry services for shoots, portfolios, ad films etc. They specialise in bridal make-overs and find it most satisfying of all. The team of Makeovers by Gurleen strive to give their clients a look that complements their personality and enhances it as well. They have a clear understanding of the requirements of their clients and try their best to deliver quality service with utmost professionalism. Makeovers by Gurleen, Mumbai is headed by Gurleen who is a certified makeup artist from Fatmu, one of the best makeup academies in Mumbai. 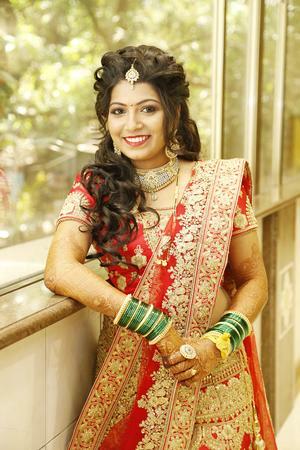 Makeovers by Gurleen is a Bridal Makeup Artist based out of Kalyan, Mumbai . Makeovers by Gurleen's telephone number is 76-66-77-88-99, address is Makeovers, Opp Holy Cross Convent school, Karnik Road, Kalyan West, Thane, Mumbai . In terms of pricing Makeovers by Gurleen offers various packages starting at Rs 15000/-. There are 0 albums here at Weddingz -- suggest you have a look. Call weddingz.in to book Makeovers by Gurleen at guaranteed prices and with peace of mind.